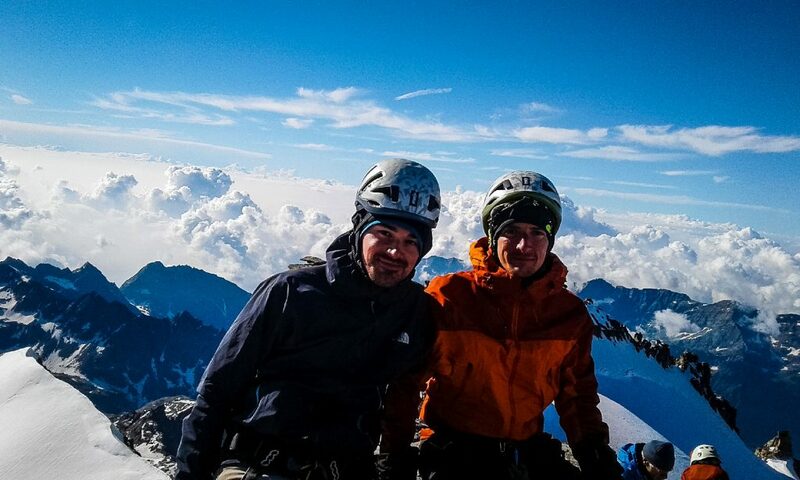 Climbing Mont-Blanc (4810m) was something close to my heart since I did Tour du Mont-Blanc last summer. It is something that must be planned ahead as you must find a guide (highly recommended) and book refuges (highly demanded). Our guide was suggesting several summits for acclimatation but we picked Gran Paradiso (4061m) in Italy which look vertiginous with an airy ridge at the summit! With a good preparation, you will put all the chances on your side to make this dream come true. This preparation first starts at home throughout the year to maintain your physical form (running, cycling, hiking, skiing…). 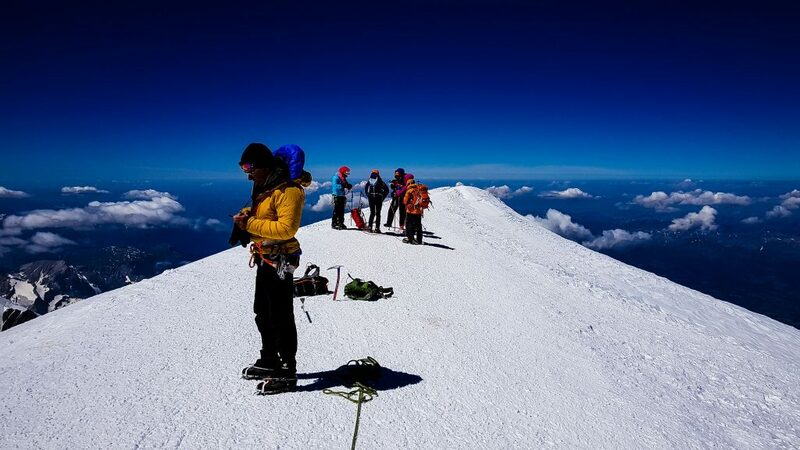 Both summits need specific equipment and knowledge of alpinism, don’t underestimate them. Prior to doing this experience I’ve heard and read so many different things online, I can tell you that both summit are not easy. You never climb the same mountain twice, the weather can change everything and altitude affects everyone differently. We started the adventure with a hike to Lac Blanc, possibly Chamonix’s most famous walk. A perfect start to test some of our new equipment and warm-up for the intense week to come! After taking Flégère cable car, in about one hour we arrived at the lake. After couple photos in front of the frozen lake we took the direction to Argentière to slowly go down and enjoy this section of the TMB (Tour du Mont Blanc). Then, we took a train to get back to Chamonix from Argentière train station. Our original plan was to climb Mont Buet (3096m) but current conditions were preventing us from getting to the top so we changed our plan! 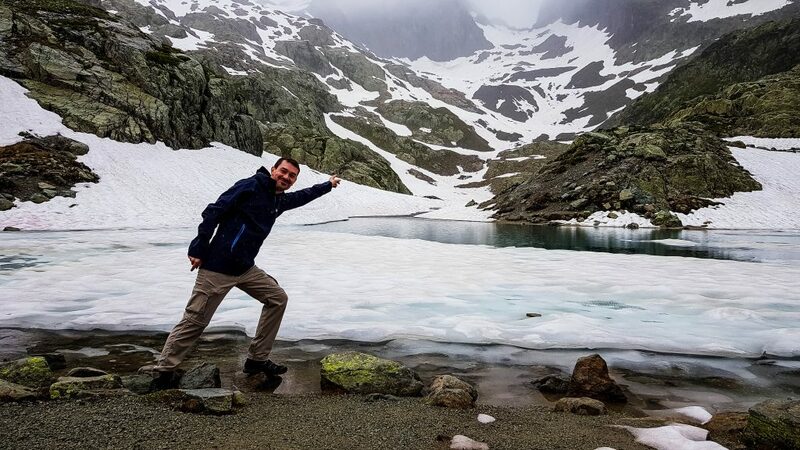 A great alternative that we found was to hike Grand Balcon Nord and then explore an ice cave (Grotte de Glace). 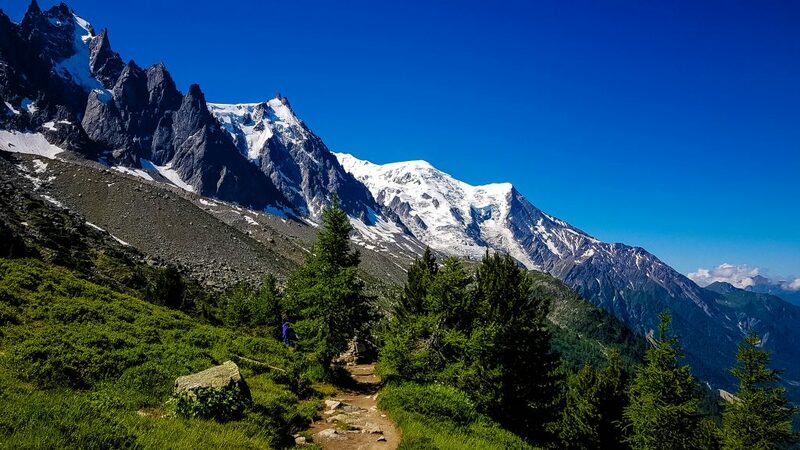 The hike starts at the famous cable car “Aiguille du Midi” but instead of going to the top, you will stop at “Plan de l’Aiguille” (2,207 m) and begin the hike along Grand Balcon Nord to Montenvers via the Signal de Forbes and its extraordinary panorama. 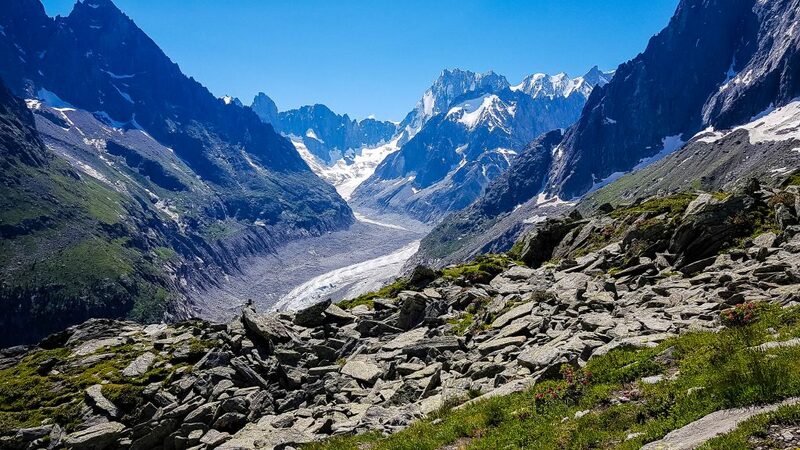 From there you should have a splendid view on the Mer de Glace, the Drus and the Grandes Jorasses. A few more steps down and you will be able to get to the famous Grotte de Glace. The ice grotto is cut into a living glacier. The grotto has to be dug out every summer since the glacier moves about 70m every year. It was fantastic to get inside with the hot weather. It was great to have a day to relax and buy missing items. We rented crampons and alpine boots at Sanglard and they did a great job at giving us tips on how to set everything up. Finally, Climbing World cup was also right in front of our hotel so we had no excuse to not go! We were very excited to finally begin the adventure with the guide! He brought us ice axes, helmets and climbing harnesses. 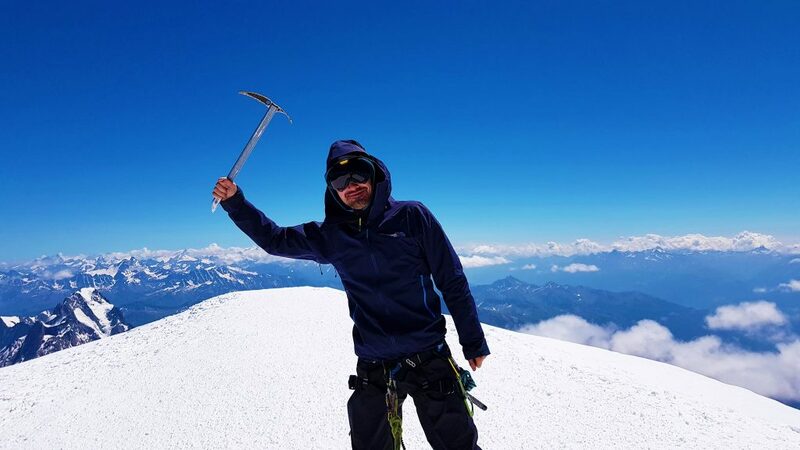 Getting all that equipment on you will make you feel like a real alpinist. 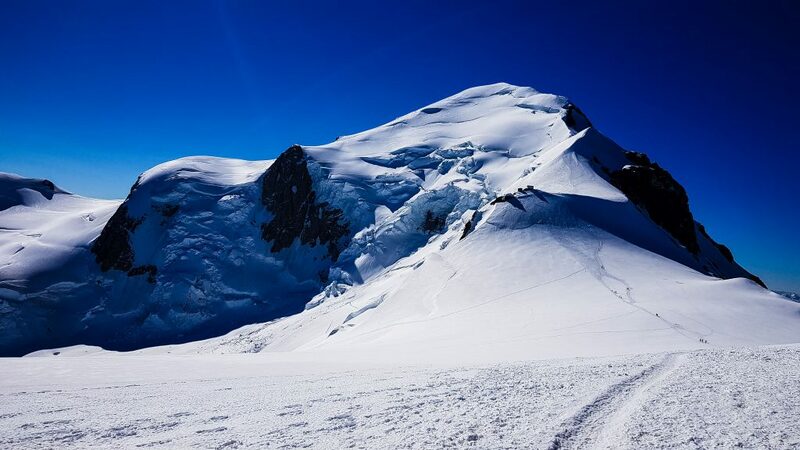 However only when we started to climb a very steep hill in the snow with the heavy boots and crampons we realized in what we were getting into. Objective of this training day was to give us an introduction to cramponing, progression in rope and elementary knots. After seeing another group climbing an ice wall we asked our guide to give it a try! It seems we did very well for a first time climbing an ice wall, first with 2 ice axes, then just one! We started the day by a short drive from Chamonix to Gran Paradiso starting point: a parking surrounded by beautiful mountains. After about 2,5 hours of ascent we arrived at Refuge Federico Chabod (2750m). We spent the evening waiting for results of the world cup as France was playing against Belgium that night! Without any cellular network, everyone was riveted to the only radio available in the refuge. This days was the occasion to complete our alpine training, develop our mountaineering, glacier travel and rope work skills! We started around 4:30am, right after breakfast and a short night of sleep. 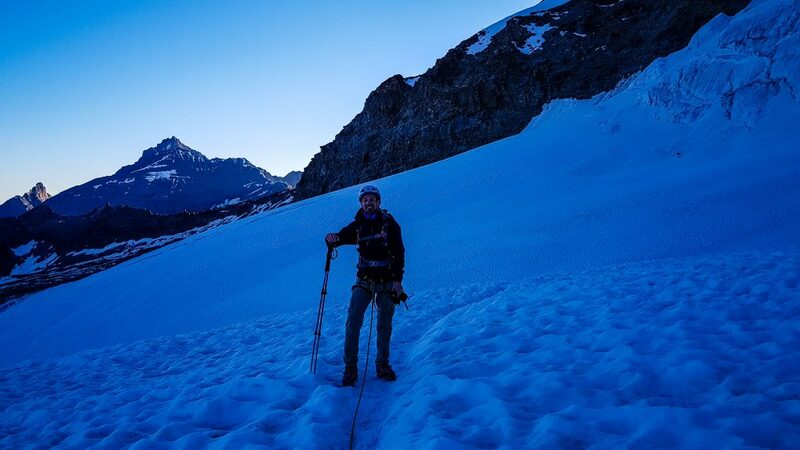 The route was easy at the beginning, but after about one hour it was time to put on the crampons, set the ropes between us and be very careful to avoid deep crevasses. It was cold but the scenery was amazing, we were very excited to make it to our first 4000+ summit! The final ridge finally appeared and only a few people were thinking about launching themselves into the last few meters. This part is usually overcrowded, because it’s where a Madonna statue is standing. Without hesitating our guide brought us to the statue, passing everyone one by one we managed to get the statue just for us! 4061m! Our descent was easy if we don’t mention my friend’s sunscreen which made us half blind for couple hours! We used a different path to get to the parking and stopped at Rifugio Vittorio Emanuele. 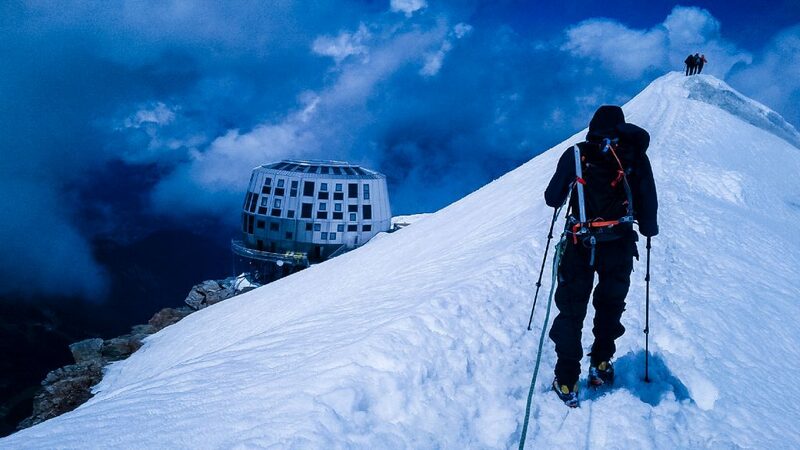 No time to rest, already time to continue the adventure on the popular Gouter Hut route! We took the Bellevue cable car (with couple hours waiting due to a power outage) from Les Houches and then took the Tramway du Mont Blanc to the Nid d’Aigle (2,372m). Only 2,5 hours to get to the famous Tête Rousse Refuge. This is where we slept. We would enjoy our successful booking of both Tête Rousse and Refuge du Goûter to make the ascent in 3 days. before getting breakfast and see the exceptional conditions. We had absolutely won the lottery for our 9 days in the French and Italian Alps. Of course the route is popular as I mentioned before, but it is also infamous for the Gouter couloir also known as “death couloir”. The key is to cross this section early in the morning. Hours which are the most critical are between 11am and 1.30 pm when stone falls occur. When I looked at the path to the Refuge du Goûter, I really thought it was a wall to climb because it was a strong 600m steep, close to vertical, section of rock. The truth is that it went very well and we climbed it in about 2 hours. We did a one hour break at Refuge du Goûter and dropped some of the gear that we didn’t use on the final ascent (helmet, extra clothes, etc). We actually dropped hiking poles and other items along the way to finish with an almost empty backpack at the summit. What I will remember from this day is the physical and mental challenge that represents the latest 800m, it felt endless and even when I thought we were at the end of the mountain, there was another! But the best view comes after the hardest climb. 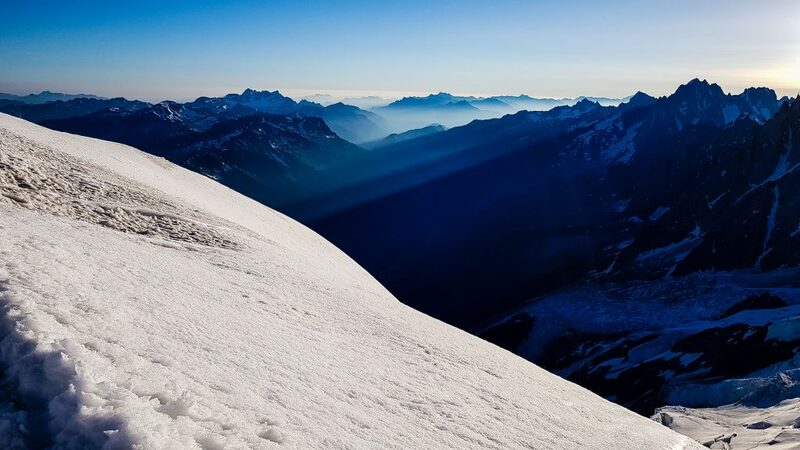 Being on top of Europe is a unique moment, a lifetime experience. With the smiles on our faces and the motivation to get back in the valley, the descent went fast, extremely fast! We actually ran while laughing to get on time to catch the train at Nid d’aigle. Probably too much energy left, the long training before Mont-Blanc paid off after all.